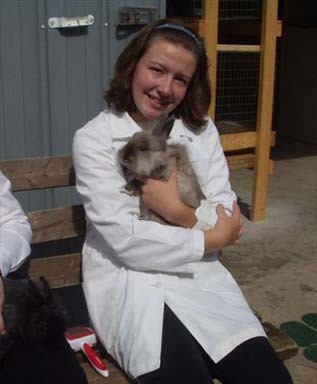 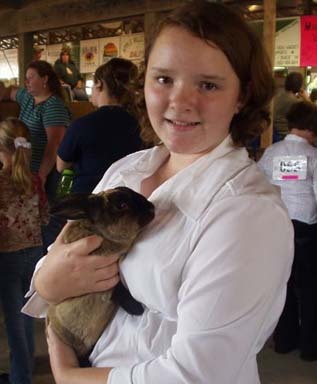 Rebecca with her rabbit just before the showmanship competition. 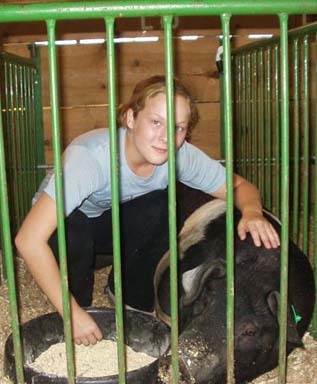 Emily Bergren with her 285# hog Oreo. 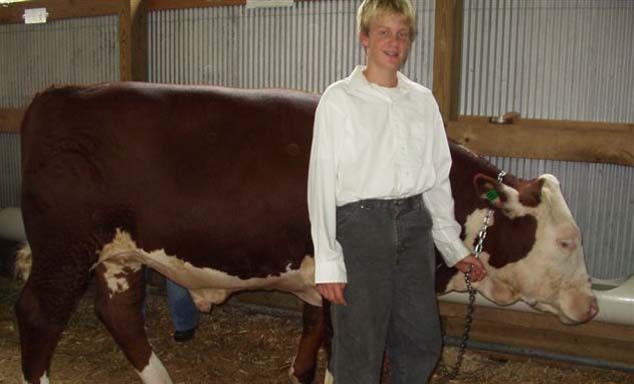 Fair Day August 22 -- Thomas Koon with his Hereford steer. 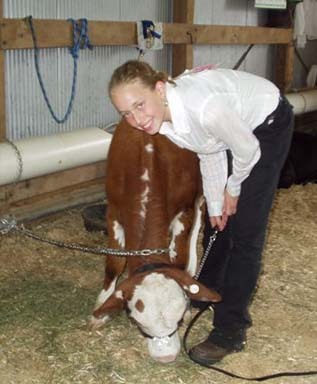 Kelly Koon with her Hereford steers. 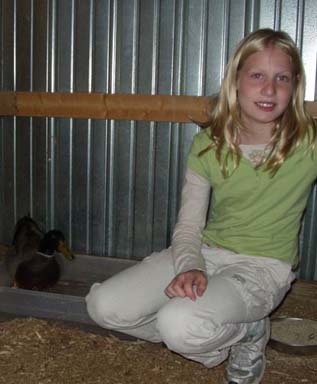 Madison, 4th grade, with her duck. 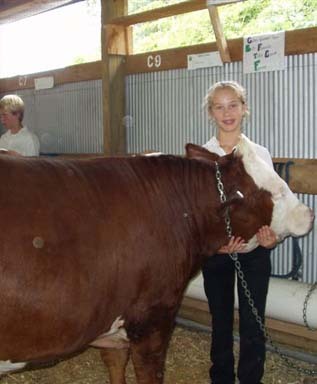 What she likes about the fair is showing her animals. 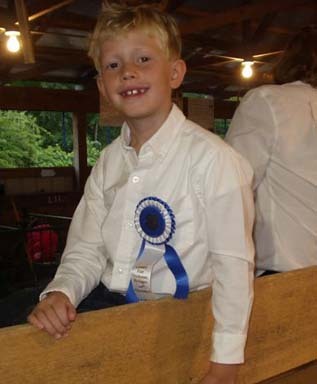 Jacob, 3rd Grade, with his ribbon from Swine Showmanship. 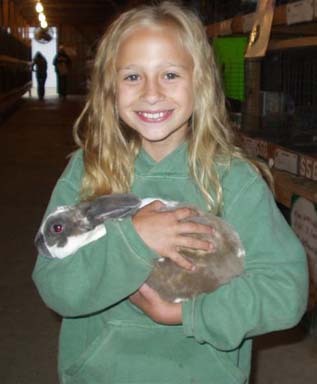 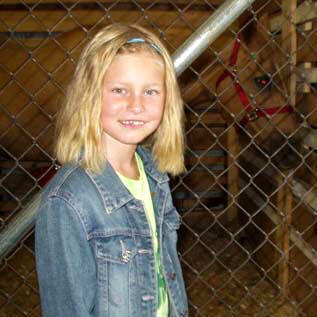 Miah, 4th grade, likes to show her rabbit at the fair. 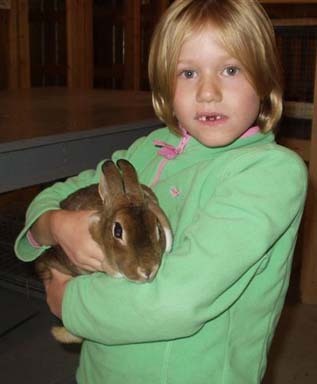 Julia , 2nd grade, with her bunny. 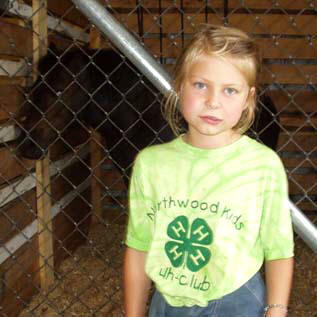 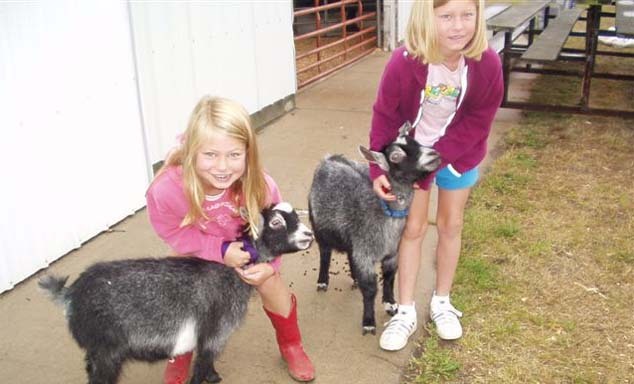 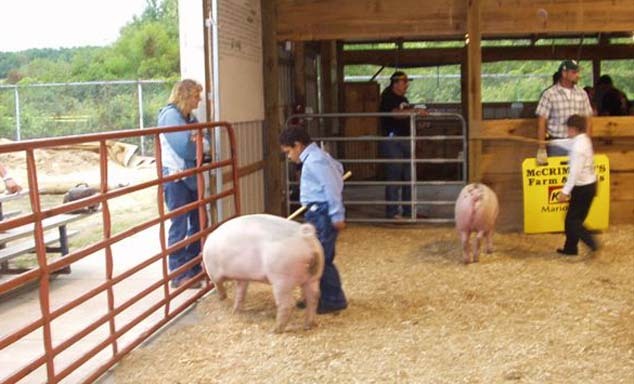 She likes feeding and showing her animals at the fair. 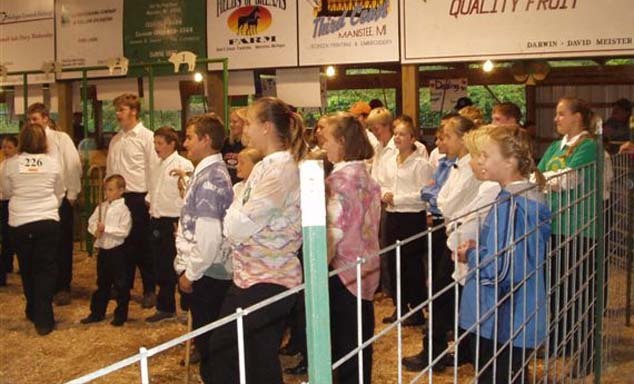 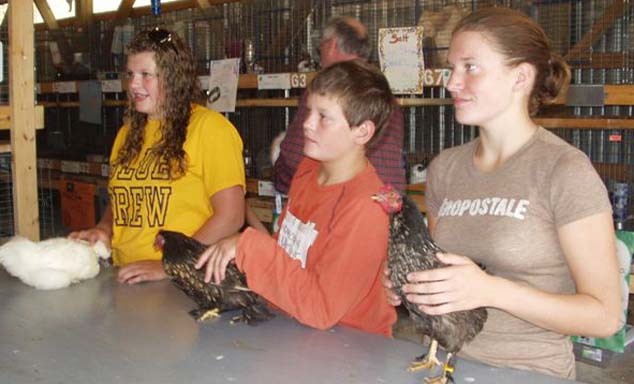 Fair Day --The Schoedel Children pose with their chickens before competition. 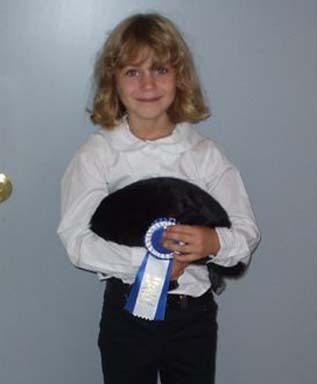 Fair Day -- Madison with her duck. 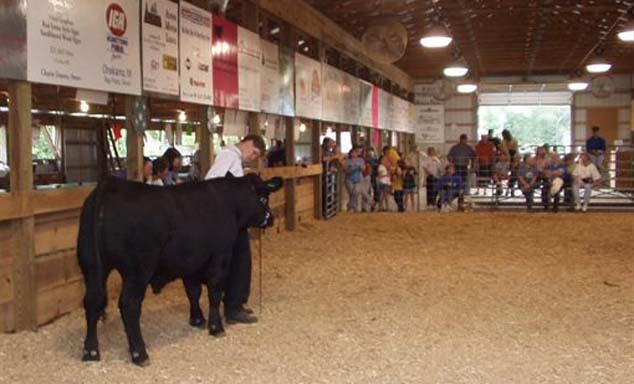 Fair Day August 22, 2007 -- Joe Kosiboski during steer showmanship. 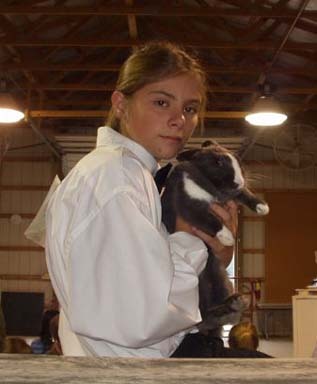 Gabriella holds her rabbit after the competition. 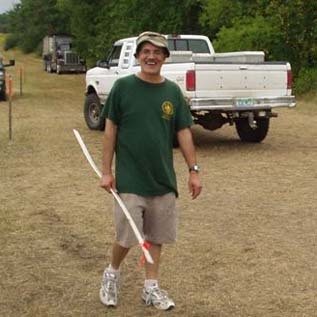 Mr. Zupin parks cars for Boy Scout Troop 63. 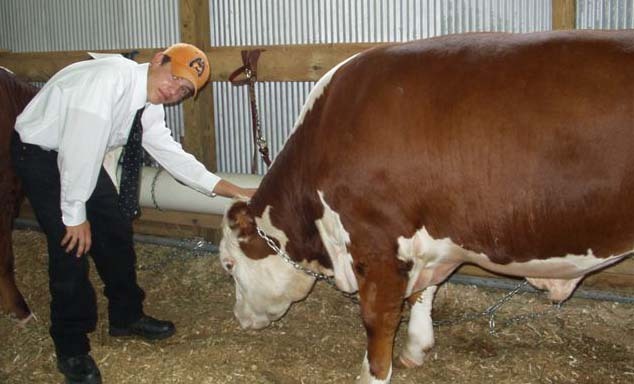 Good Job, Coach Z.!